We’ve seen it time and time again, epic content ranking for awesome search terms. Great content and promotion play a big part when trying to bring in the top spots now. Social sharing, natural backlinks. After all, this is what google wants to see right? What about those of us who want to rank Amazon, Adsense or any type of affiliate website for that matter? The natural backlinks don’t come easy and in most cases they don’t come at all. Would you link to a site like that? Probably not because chances are you haven’t even heard of it. The truth is sites like that are made to collect commissions and that’s it… Rank and Bank. This is one of the methods I use to make an income, the 3 step income method involves keyword research, a website and backlink building. The 3rd step can be the hardest, building links and ranking on the first page. So let me introduce you to a simple link building method that’s perfect for these little sites. After many late nights and energy drinks, I’ve pumped out some great results by using web 2.0 sites to build a private blog network. This all came down to testing and tweaking this method until I found my own sweet spot. I was shown this strategy from a buddy of mine and it works really well for both of us. This one here is a fresh two week old page that I used for a recent test (more on that test soon). I’ve already seen some great results considering the competition is pretty strong. What about some bigger search terms? This is an old keyword I no longer track, it now sits pretty at 3rd. Here is my last recording from last year, ranked with nothing more than expired web 2.0s. I’m talking about building a high authority expired web 2.0 network to your money site. I buy or scrape expired sites like the ones in the image then point them to my main websites. Sounds good right?… juiced up web 2.0s ready to go. If I was to build a fresh network it would take some time before the power started to kick in. I would have to use something like this gsa search engine ranker tutorial to power them up. You can expect an increase in rankings within 24 hours sometimes. It really is instant clean juice right to your website. Although not as strong, this is just like a private blog network but with web 2.0 blogs that are free to use with full control over your links. 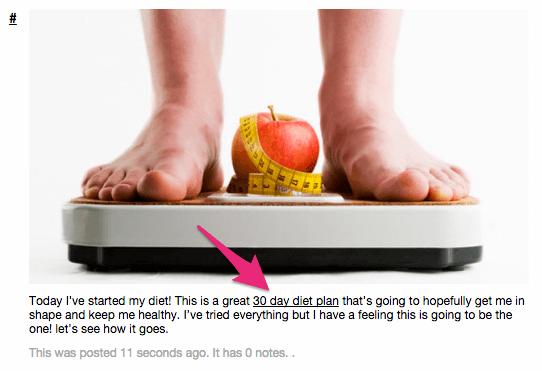 When starting a new network I base my start point on a standard number of expired blogs. I start with 24 then let it sit for two weeks once finished to see the full impact. Sometimes more is needed or that could be enough to get me what I want. I use loads of Tumblr blogs and that’s because I can set up so many in a short amount of time. You should be able to get yourself stable on the second page with ease. The first page is also very possible depending on the competition. Let’s get this bad boy started. This really comes down to how much time you have. When I first started I would purchase them but of course, there are some advantages to this and some disadvantages. Buying them can be good to save time, you can pay the seller extra to get them all signed up for you ready to go. The disadvantage is you don’t really have control over what you get sent…. The quality isn’t always the best. When buying you can use websites likes Source Market or Fiverr. Something like this works great. Not many people sell Weebly or Over-blog.com. However, if you ask them to do a custom scrape for you, they usually will. There is also a seller on Affiliate Hustle who sells all 3 if you ask him. This is by far the best way however, it takes the longest. If you don’t have time to sort through them when done this might not be the best option. But you can expect to find gems like this…. I use Scrapebox so I’ll give you a rundown on the process I go through to find nice juicy expired blogs. Just use the default settings to start with, they work fine when starting out. First you need to gather some proxies, it’s important to use private proxies to get the best results. Go with 10 and load them into the proxy section. Click “Use Proxies” if it’s not checked already. You will need to upload some keywords. You can find some general large keyword list online by doing a Google search or give this old 100k list a try. Scrapebox also has an in-house scraper if you want to scrape some keywords right from the software. When the harvester pops up choose the engines you would like to use from the left. The ones I’ve ticked below work great. At the bottom double check that you are using server proxies, you want to save your own proxies for the next steps. Now start harvesting, I leave mine going for 24 hours and that’s enough time to collect a large amount of URLs. Once the harvest is done you should have millions of URLs, it’s time to trim things down. The same goes for removing duplicates, click “RemoveFilter” then “Remove Duplicates”. Now in the top menu click “Addons” Then “Show Available Addons”. You want to install “Scrapebox Alive Check” then open it up. You should now see the alive checker window popup. You can then import the URLs from the harvester in the bottom left corner. Also, make sure you tick “Use Proxies” because now we need our private proxies to keep things running smooth. Once finished click “Export” on the bottom right then “Save All Alive To Harvester”. You should have a list of expired web 2.0s you can use as backlinks to your websites. There is one more step and that’s finding the most powerful ones. I do this by checking the Page Rank. As we know Page Rank is dead now but it’s still a good filtering system. The higher the page rank the older they are and the chance of finding ones with awesome backlinks is higher. You should have a decent list of URLs to go through once done. It’s time to sort through them and find the available ones. I want to share with you a new method I have been using to find expired web 2.0 domains. Matthew wrote a huge guide on how to find expired domains recently. 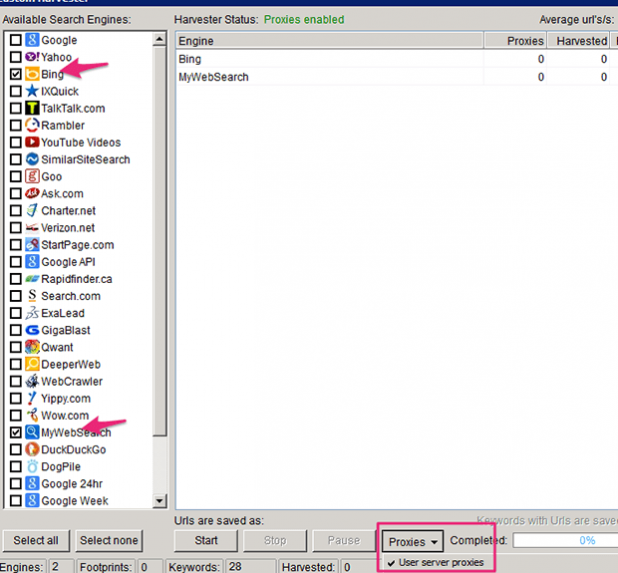 In that guide he shows you how to find normal expired domains and web 2.0 expired domains using the awesome DomainHunterGatherer tool. As you can see DomainHunterGatherer makes it really easy to find relevant, powerful expired web 2.0 domains! Before we get into this, not every Tumblr is going to be free. 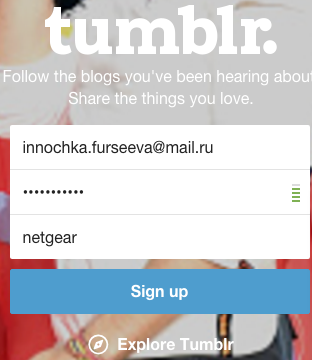 Scrapebox checks for 404s however, most of the time Tumblr still won’t let you sign up to them. There is really no way around this unless you create or find a bot that checks real 404s. Scrapebox is good but it does lack in this department. Find yourself a website that checks Page Authority. I go with 99Webtools, because it can check 50 at a time for us. You might need to grab yourself some extra e-mail addresses to register the blog if you don’t have any already. I purchased 1000 from these guys about 6 months ago and I still have plenty left. This next step is very important! You should use a different IP each time you sign up a new account. You can stretch it out to 3 accounts per IP max, if you use the same IP to sign up a large amount of Tumblr blogs they will soon start banning them. I’ve made this mistake before, I got lazy made 10+ accounts then when I checked them a month later they were all gone. You can use a program called IP Vanish for VPN access, so you can change IP with the click of a button. 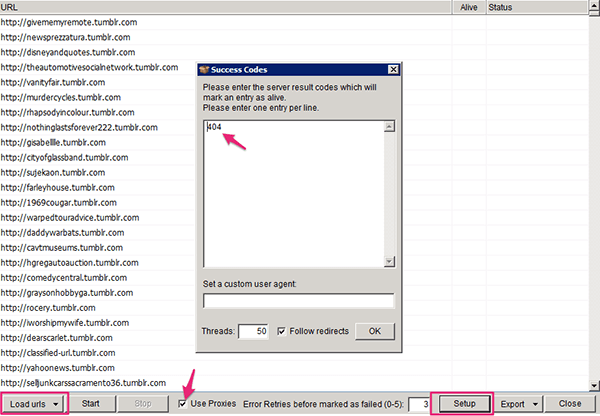 Once you have a VPN setup, open up Tumblr and have your URLs ready in the page authority checker. All you need to do now is take the username and try to sign up with it. Keep doing this until you find the free accounts. This is by far the easiest part, this is why expired web 2.0 network builders like to use Tumblr to drop links to their money sites. You don’t need fancy articles, all you need is a picture and a few lines of text. Tumblr is an image platform so it makes sense just to roll with it. Just like that, web 2.0 backlinks are created in seconds, sure it takes a while to scrape them but it’s worth it! If you want to buy them then that’s fine they work just as well, you will usually need more of them to get more juice that’s all. The only other thing I do is upload an avatar and I might change the themes on some of them every now and then. 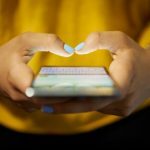 When it comes to the Weebly or Over-blog.com blogs you will need to upload an article, this is why I don’t do as many when starting out. I want to see what the Tumblr’s will do first. Branding plays a decent part in ranking now so getting the right ratios can make or break your rankings. I’ve had rankings drop off the radar within 24 hours just because I used my exact match keyword 1 to many times. I use the expired web 2.0 networks for branding and keyword variations. 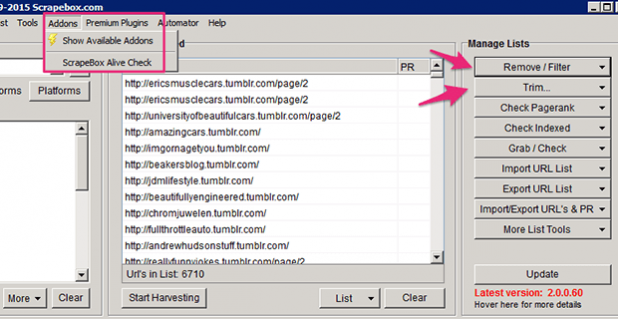 I save the big pushes with exact match keywords for my private blog network with strong domains if I need to. What I typically do is sort my expired web2.0s from weakest to strongest. I’ll use the weak ones for naked URLs and branding anchor text, with the stronger ones I’ll use keyword variations. I head over to LSI Graph to get some variations to use. To finish it off for good measure I’ll add a few exact match anchor text on my strongest web 2.0s just in case Google wants to give it that extra push for me. And that’s how you create an epic web 2.0 network…. It’s not over yet though, there are some issues to address. What Have Tumblr And Weebly Changed Recently? Let’s start with Weebly and the “we won’t index you saga”. As you could imagine this became a problem, Weebly is telling us our free account won’t index the blog. We can force things as well! All we need to do is run a force index with the Google Url Submitter, this ignores the robots.txt and crawls the site anyway. 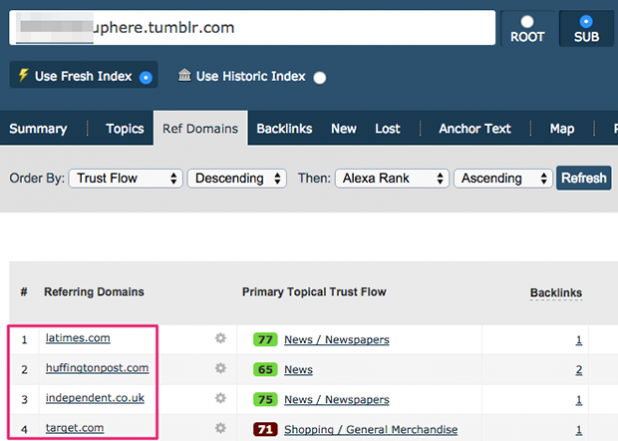 This recently just happened over a month ago and now a lot of network builders have come to the conclusion that Tumblr is useless for link building. Instead of just linking out to your money site link, Tumblr has a new redirect in place like this href=”http://t.umblr.com/redirect?z” + your URL. I just had to test this for myself to see if the juice still flowed, after all Tumblr plays a big part in this strategy. This was a fresh page so these jumps are very good especially the bottom one. Then a week later the rankings have increased even more. You might notice these from the start of this article, the bottom keyword is sitting at 16 with a keyword competition of 41… not bad at all. So, Tumblr still passes juice and Weebly will still index. Everything is all good! Why Do These Work So Well? This really comes down to age and the backlinks they have. You build private blog networks with expired domains because they’re aged with backlinks, It’s the same concept. In most SEO campaigns you will find web 2.0s being used and for good reasons. They work for all types of scenarios like diversity or pushing ranks. The difference when using new ones is they’re fresh and take time to power up with the other tiered links you need to build to them. Using expired web 2.0s to get me stable on the second page for my keywords then pushing them the rest of the way with my own personal private blog network works really well. Remember, Google want’s to see that Authority. Well, it’s been some time since this was posted and my ranking are still going strong so it’s time for an update! Now the question everyone wants to know… Does this still work in 2017? I want to show you the results from two sites I’ve been working on since this post and explain to you how I got the sites to the first page of Google. There are only two things ranking these sites, good long informative content and the super strong expired web 2.0s we talked about above. Alright so this site is one of my favorites right now and has the potential to earn 5 figures a month. The website ranking first in this niche just sold recently and was making just over $10,000 a month. My site is literally 2-4 spots behind it on some of the terms. This site is a Clickbank lead generation website, I collect emails with the site then I have an email marketing campaign setup to promote a specific niche related product. The content length on this particular page is 3700 words, my onpage optimization is spot on so all I needed to do was add links. As you can see from the results above all my target keywords are on the front page and that’s exactly where I want them. I’m not worried about the 1st position right now, the site makes money at this point so I can rest for a while before hitting it again with more links. You will see the ranks have dropped a bit, this is normal with this method. Google will push the site up high then let it settle into it’s position, this indicated to me that I’m ready for another round of links soon. It’s already collected me over 600 leads so thats a great effort! Right now I get 2-3 sales a day and on a good day with a nice spike I’ll hit 5+ and I’m not even at the top yet. So how did I get this to where it is now? The combination of good content and expired web 2.0s sent this site to the front page like a rocket going to space. The content was good enough to get me dancing on the 4th page then using the expired web 2.0s I got it pushed up. Oh…. and the competition in this niche is quite hard with some decent authority editorials to compete with. On this particular site I used tumblrs and a mix of beep.com blogs aswell. I had to pull out the big guns for this site though, I used only the best expired Tumblrs I could find. Most of the tumblrs I used had good backlinks from editorial sites like Huffington post. With this site there was a specific anchor text ratio I used, most of the anchors are url and branded only. I did this because every other site in the top 10 had branded anchors so it makes sense to replicate that. Exact match anchors were used but only once or twice each. Since most of the sites in the top 10 are editorial all the links are natural so I have to make my anchors looks natural. There are 2 other affiliate sites I’m competing with but they both have natural looking anchors as well. At this point I’m going to work on this site hard once it’s settled a bit longer to get it to the top. I’ll have a break and work on other projects until then. This site has lower competition to the first one and won’t make anything close to the income it will be producing. This site could be about $1300-1600 a month once ranked higher. At the end of the day money is money and I’m happy with that. This site is once again a lead generation site for a Clickbank offer but I only just started collecting leads on this one before Christmas. This one is a little different I actually get most of the sales from the links within the content and not so much within the email campaign. This just shows me that testing with affiliate websites is important to see what works. On this website I also used less content, just over 2300 words. The competition wasn’t very hard and the topic was hard to write about so I stopped at 2300 to see how It went. Safe to say that it worked out fine with that amount of content. Here are the current rankings. Well when I do a scrape I set my expired web 2.0s out into sections. Those 2 sections are. So, I use the Good web 2.0s on my hard niche websites then I save up all the average or low quality ones for an easier site like this one. The only difference really is the amount I use. Although I’m using so called rubbish links as I like to call them they still work, I just need a lot more of them. Remember when we scrape? We usually scrape a lot so it’s always a good idea to save those average ones for a rainy day. Some people will think that’s a waste of time but I’ve seen the proof in my testing. We even had a member in our Online Marketing Facebook Group post his rankings today using just Tumblrs. He held the 1st position for most of his search terms. I have no idea what kind of competition his niche is but that’s still impressive with just a bunch of expired tumblrs! 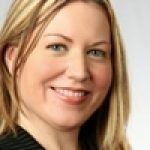 So, is this still a viable way to rank websites? Absolutely. If we come into a super duper hard niche we use the web 2.0s to get us to the 3rd or 2nd page then usually hit them with stronger links like guest posting or private blog network links. In most cases you can sneak onto the first page with these expired web 2.0 links. This web 2.0s method is still a great way to rank those easy to medium and even better on those hard niches to get them ready for even stronger links. 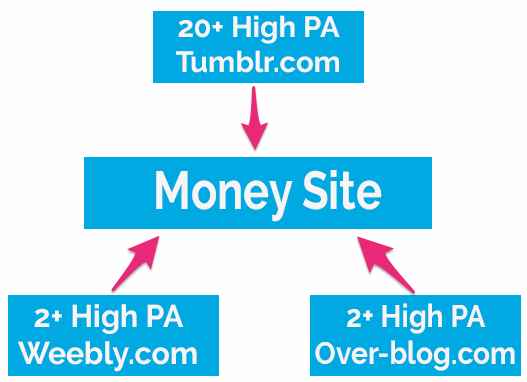 If you want a quick and easy way to grab some good web 2.0 backlinks then buying Tumblr’s and throwing up those links is a fast way to do it. You can build massive private blog networks with web 2.0 sites ready for links to existing or new websites you might create. It’s up to you if you want to use these web 2.0s for one site or multiple sites. I link out to 2-4 websites max so I don’t have too many outbound links spreading the juice around. When scraping the sub domains this video from Dillon who has helped me a lot in the past with this will explain the scraping if you have trouble or you prefer videos. You don’t need to limit yourself to the web 2.0 sites mentioned above, that’s just what I prefer to use. There are many footprints you can input into the scraper to build your own private blog network. Feel free to leave any questions in the comments below and I’ll see you at the top of Google!